It is unfortunate for Sudan, to a scandalous degree that the national dialogue is no longer, this from a terrorist Khartoum government led by President Omar al-Bashir. All the recommendations that arose in the dialogue were embarrassing to Sadiq al-Mahdi, head of Sudan’s National Umma Party and Mohamed Osman Mirghani, head of the Democratic Unionist Party because they were silent on the war crimes and accept that President Omar al-Bashir be president of Sudan. 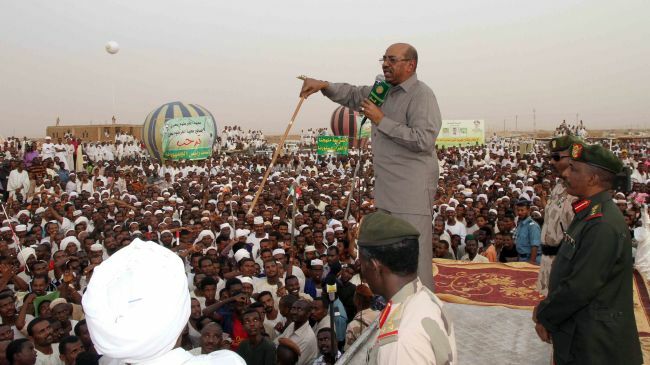 They know that the ruling regime in Sudan must be deposed from power and that the spectrum should resort to freedom. In addition to this the integrity of the election and a great constitution, as well as the amendment of the 2005 Constitution. This interim comical opposition, which is pursuing a roadmap drawn by the ruling regime in Sudan and handed it over to them as a result of force majeure and covert pressure, makes it imperative for the Sudanese opposition to come to Sudan to be slaves to the ruling regime without power. This is one of the biggest political scandals that occurred in Imam al-Sadiq al-Mahdi andOsman Mirghani’s name. All recommendations are confirming that this opposition should go to Khartoum and sign all the conditions of the ruling regime. 7 +7 or a committee of the National Dialogue Dialogue is the disciplinary committee of the formidable Mr. Les Miserables / Sadiq al-Mahdi / Osman Mirghani. It is sadly a clear and significant scandal that has forced them to go to Sudan and act out this historical farce between the opposition and Islamist Khartoum government led by President Omar al-Bashir. All recommendations are a farce because Imam Sadiq al-Mahdi signed on earlier recommendations, and also to the other miserable, Mr. Osman Mirghani. These recommendations did not include holding war criminals accountable, nor did they include the arrest of President Omar al-Bashir and war criminals. All opposition politicians know the solution is the arrest of President Omar al-Bashir and to hold war criminals accountable. They also know that the regime continuing in Sudan means the continuation of the ban and the continuation of sanctions on Sudan. Classification means the continuation of Sudan as a terrorist state and a state sponsor of terrorism. Where are the rights of the victims who have fallen victim to the war in Darfur, where are the rights of those who were victims of public interest where the rights of army officers and police and security who dismissed the ruling regime since he ascended the authority of President Omar al-Bashir in a military coup under the pretext of the public good? Where are the rights of doctors and all professions who have been victimized under President Omar al-Bashir where the ruling regime practices oppression and killing people outside the law? 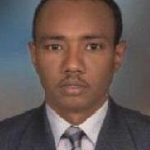 Where are the rights and security of journalists, and where is the immunity for journalists and doctors that the border with Ethiopia and Egypt can determine? Where are the rights of victims killed by President Omar al-Bashir and his regime? Where are the human rights of the people, where are political freedoms? Where is the clause amending the constitution? You are partners of the system. Why did you not raise the recommendations of the fight against corruption and the corrupt accounting within the government of President Omar al-Bashir? Where is the classification of terrorist groups and hardline Islamic parties classified as terrorist organizations? Are these recommendations that include the expulsion of foreign terrorist organizations from Sudan? The majority of these organizations are Palestinian, Iranian and Wahhabi ideas. Where are the recommendations that reject religious extremism? Are these the recommendations that brought the national dialogue and included a ban on Islamic parties, the adoption of civilian rule and the state system of a modern city? All the recommendations and dialogues conducted by Sadiq al-Mahdi and Merghany are not just for general information, all of which will not solve the problem of Sudan, but will hold the political situation as it is in Sudan. Now the militant Islamic organizations in Sudan multiply greatly and terrifying Les Miserables will not do more than install the rule of the Islamists in Khartoum. Down with Imam Sadiq al-Mahdi. Down with the ruling regime in Sudan. All participating parties fall in this extortionate national dialogue, this satanic regime in power in Sudan commemorating forever. Imam Sadiq al-Mahdi and Mohamed Osman Mirghani have fallen into the trap and as a result, a clinical death. This dialogue does not preserve the integrity or safety of the people of Sudan or the safety or integrity of the democratic freedoms or safety of humans, but this dialogue is a threat to the lives of the Sudanese people. 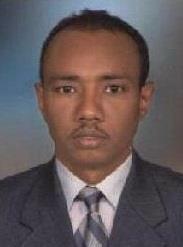 Mohamed Elgadi is a journalist for the Sudan Press newspaper.